Grace Place is a faith-based ministry, and we rely solely on your financial support for this endeavor. With your generous support, we believe that we can provide a place where people of all ages and races can come and be encouraged and lifted up out of desperate situations. We firmly believe that we can and will make a positive change in the lives of men, women and children in our community. Donations of material items such as clothing, household items, etc. Most of all we need your prayers to be the heart, hands and feet of Jesus in reaching out to all the hurting, broken and lost. 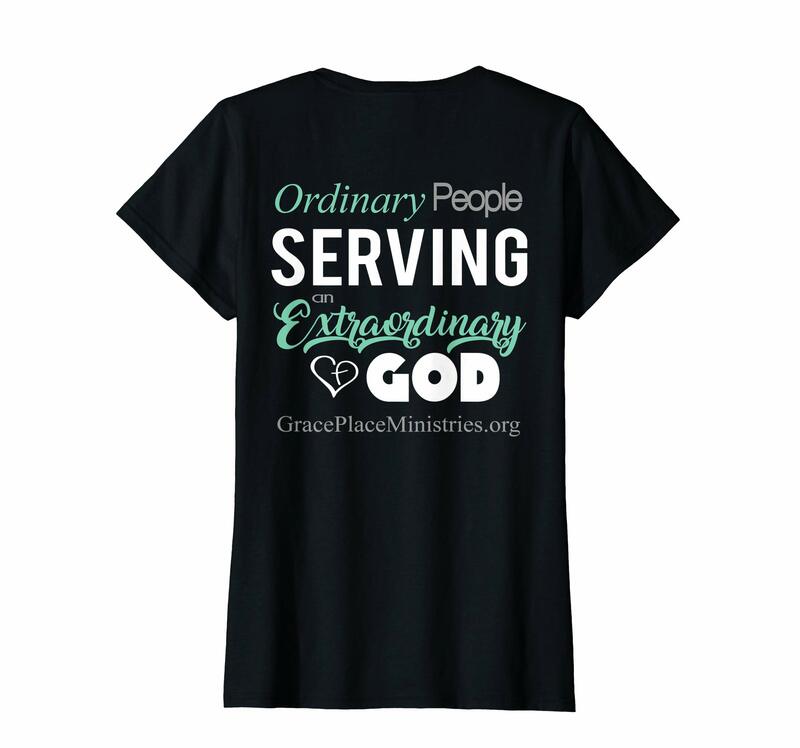 Grace Place Ministries, Inc. is a totally faith-based ministry and a 501(c)(3) non-profit religious organization with the Internal Revenue Service, Tax ID # 47-0873877. All donations are tax deductible. You may donate with your credit card or PayPal account by clicking on the button at the top of the page. A donation receipt for your tax records will be emailed to you. If you would prefer making your donation with a check, make your check payable to Grace Place Ministries, Inc. A receipt for your tax records will then be mailed to you. Thank you in advance for your generous giving into the lives of the needy. Why not consider making a donation to Grace Place Ministries in memory of someone who has passed from this life. What a meaningful way to honor the life of your loved one. Be sure to include the family’s name and contact information with your donation, and Grace Place will send a letter informing them of your generous gift. Please email us the information on the person to graceplacela@gmail.com.